Last week, a quilt top and an insulated coffee container was left at the store. I'm sure someone is worried sick with what happened to their quilt top. If you can describe it, please call us at (515)276-1977 to claim. We received this beautiful Christmas fabric in last week. It's called White Christmas and it is absolutely gorgeous! 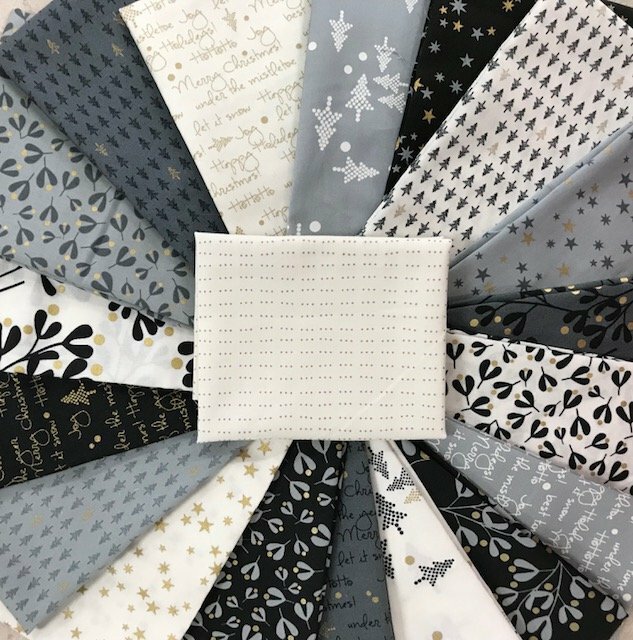 We now have the Langer Quilt Designs pattern in the store to make this quilt using the Patrick Lose Black and White Pinwheel. It's fun and easy to put together. Beginning Garment Making is a 3 part class starting on July 1st. Tracy Feldmann is an amazing sewer and makes all of her own clothes! If you have ever thought about constructing clothing, this is the class for you! She will guide you through each and every detail of developing a pattern to fit your body type to constructing clothing into something that you will want to wear! 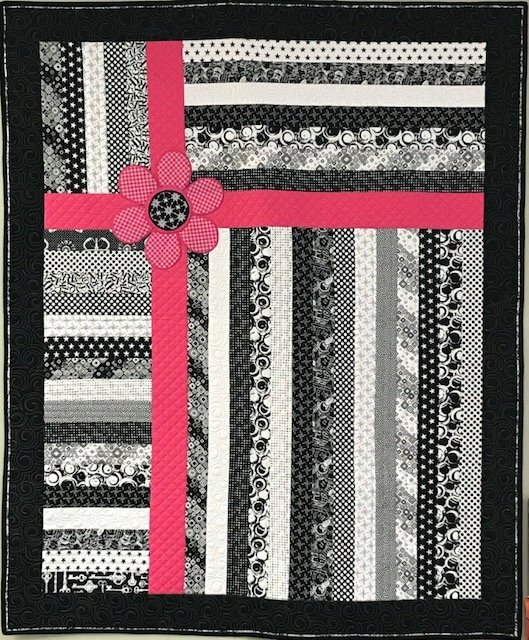 Prima Diva Wallet is a class on July 21st that Karen Macon will be offering. More details to come. 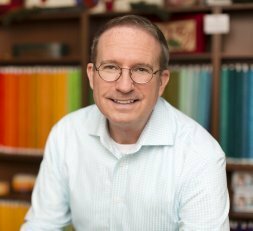 We have a Pfaff educator coming to the store on July 19th from 1-4 to do a make and take on our new Performance Icon’s. She is bringing in 11 Performance Icon’s for us to use. The cost is $10 to cover supplies. Please sign up by July 1st so we can get the Icon's ordered for the workshop. I’m very excited for this opportunity! Thank you to all the wonderful people who are doing the All Iowa Shop Hop! We still have some of the Iowa fabrics left. For the Central Iowa Region Movie Star Pattern, we ran out of two bolts of fabric within the first two days. We brought out a third bolt of fabric and completed giving out 1/4 yd. cuts on Thursday morning. I then brought out some fat quarters and we still have a few left. We will continue to honor your Movie Star Pattern, in some way, to the best of our ability through the end of the month. I appreciate so much each of you for stopping in and saying "hello"! I love the All Iowa Shop Hop event! It amazes me how many people travel from all over the state and some of you we only get to see once a year! Thank you for your loyalty! Carry on with your hopping! This week’s coupon is 15% off all needles. Limit to 2 packages of needles. Coupon good June 19-June 25th and you must show the coupon at time of purchase.